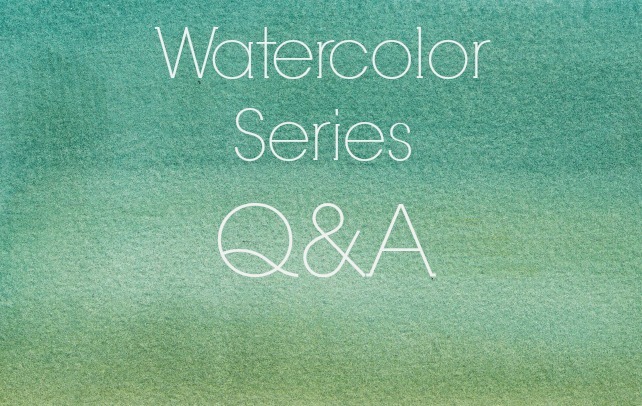 Thanks for following along with my How to Watercolor Series! It's been fun! I've gotten a few questions over the course of the past few weeks that I'd like to answer here. So here's your Q&A session! Do you ever use a Silhoutte Portrait/Cameo to do your drawing? I'm not an artist, so I'm hoping to use mine to "cheat" and would love some tips. I don't own a Silhouette Portrait or Cameo so no, I don't use one for drawing. I use some other tricks though that makes things easier. I frequently use plastic stencils. 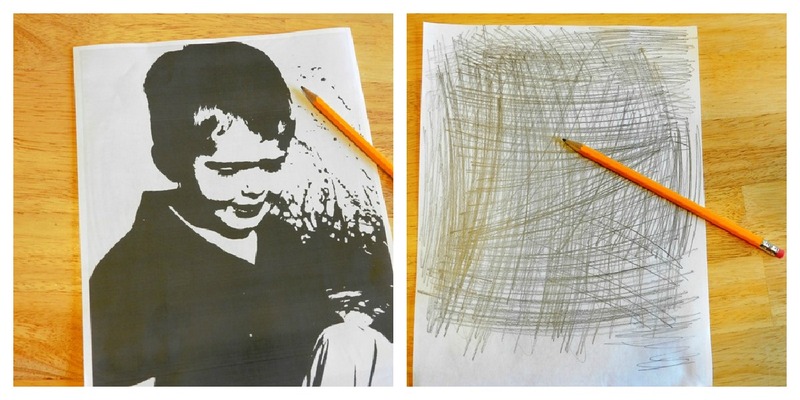 I also use a pencil transfer method- like I used for my watercolor portraits. I print out my image, fill the back side in with pencil, then flip it right side up on top of my watercolor paper and trace the outlines. It's really easy to do! If you don't want to go the to work of filling in the back side with pencil, you can also hold your paper up to a window while it's light outside. You can trace it that way, but I will warn you, you arm will get tired! I was gifted watercolor pencils, had no idea they were watercolor pencils until I spilled some water on my paper one day! Any ideas how to work with those or a good way to start? I really have no experience with watercolor pencils- but I want to try them out sometime! Could you share another photo of your brushes? A close up of the bristles? I went to Utrecht last night looking for brushes, and they said that watercolor brushes aren't typically referred to by number (even though all the brushes I looked at were clearly numbered - so confusing!) It would help to know what to look for. Thank you! Sorry about the confusion with sizes. I bought my brushes so long ago that I didn't remember what size the actual bristles are. That's why I listed mine by number. I think the numbers are relative to this brand. The numbers and sizes of brushes vary depending on the brand. As far as I understand, brushes are typically referred to by the width of the bristles. I measured mine for you here. Round: 1/2 inch, 3/8 inch, 1/4 inch. Do you ever use hot press paper? I'm actually taking a Craftsy watercolor course, and the instructor wants you to use hot press paper. I have looked at four different art supplies/craft stores in town and no one carries it at all. Weird. I experimented with some hot press paper when I took my first watercolor class years ago, but never liked it much and haven't used it again. I know you can find it at the Utrecht Store if you have one if your area, or you can buy it online.